Listen to Eric Chiang introduce what is new and exciting in the 4th edition. He has made numerous updates throughout the book, he has created 500 new questions for the test bank and 26 author videos to accompany the book. 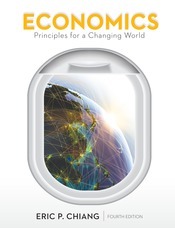 We are excited to introduce you to Economics: Principles for a Changing World.